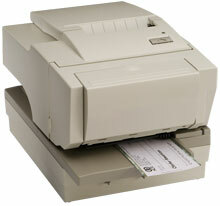 The NCR RealPOS 7167 is NCR''s newest two-station printer offering more to you for less than ever before. It is a thermal receipt printer with an impact slip station designed to deliver extremely fast reliable and quiet printing of receipts and paper forms at your point-of-service (POS). The NCR RealPOS 7167 can positively impact your store productivity because of its intelligent design and operator-friendly features.